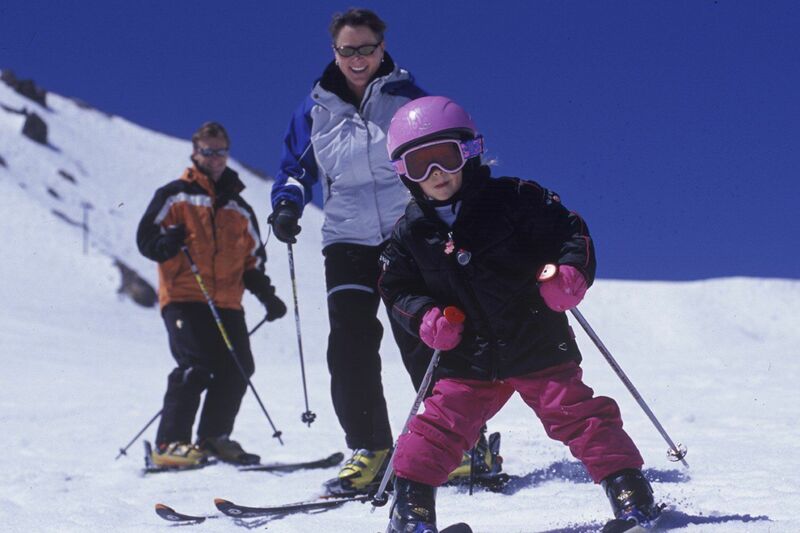 Take a ski lesson with your family at many winter festivals. Ice sculpture is a highlight of Winterlude; this Alexey Andreev work won 2nd place in 2015. Here’s a preview of some of the top shows and festivals for the winter of 2014-2015, ones often designated as among the American Bus Association’s “Top 100 Events in North America.” Note that they take place approximately the same time each year. Anchorage Fur Rendezvous – Feb. 27-March 8; Anchorage, Alaska. Otherwise knkown as “Fur Rondy”, the festival is a nearly 80-year old tradition celebrating winter sports and native cultures over 10 days. Hockey tournaments, snow sculpture competition, dog sled races, talent competitions, ice skating, and a carnival are just some of the events on hand. Carnaval – Jan. 30-Feb. 15; Quebec City, Canada. Celebrating its 61st year, this is North America’s largest winter festival taking place over the last weekend in January and first two in February, usually coinciding with Mardi Gras. The jovial mascot Bonhomme leads families to tour his ice palace, try dog sledding, snowshoeing, ice slides, cross-country skiing, horse-drawn sleigh rides and more — almost everything except hot chocolate included in the nominal price of your Bonhomme effigy badge. Charro Days Fiesta – Feb. 22-March 8; Brownsville, Texas. This town parties with its neighbor of Matamoros, Mexico by presenting jalapeno eating contests, cook-offs, folk dancing and more; the modern midway keeps it fresh after nearly 80 years of partying. Check for annual special events. Chicago Winter Dance – January 17-25, weekends only; Chicago, Illinois. The city comes alive with free events and programs on the ice and onstage all month long. Enjoy introductory dance lessons ranging from salsa to line dancing as well as DJ sets playing the best in Chicago step swing. Look for events in four stops around the city at Hamilton Park, Chicago Cultural Center, Austin Town Hall Park, and South Shore Cultural Center. Festival du Voyageur – Feb. 13-22; Winnipeg, Manitoba, Canada. Partake in the adventurous spirit of the French Canadian voyageurs in a reconstructed fur trade fort. Enjoy 10 chilly days of non-stop entertainment as well as a fancy dress Governor’s Ball. Kids 4 and under enter all events free. Longwood Gardens Orchid Celebration – January to March 29; Kennet Square, Pennsylvania. We love the idea of celebrating Pierre S. du Pont’s wonderful garden after more than 100 years of blooming. Winter brings the Orchid Extravaganza — 5,000 vibrant orchid blooms in a four-acre, toasty warm conservatory. Be sure to schedule a visit to coincide with OrKid events with their live music, art classes and up close for children tours. National Western Stockshow – Jan. 10-25, Denver, Colorado. It’s 100+ years-old and has been likened to the “Super Bowl of Livestock Shows.” Perfect for the pet lover in your household with over 15,000 aimals, rodeo performances, competitions and booths selling cowboy boots and Native American jewelry. Niagara Ice Wine Festival – Jan 9-25; throughout Niagara Region, Ontario, Canada. Enjoy ice wine, ice bars, icicles and ice-cubed feet at this winter blast in eastern Canada’s lovely wine region. There is a June New Vintage Festival and an autumn Wine Festival as well. 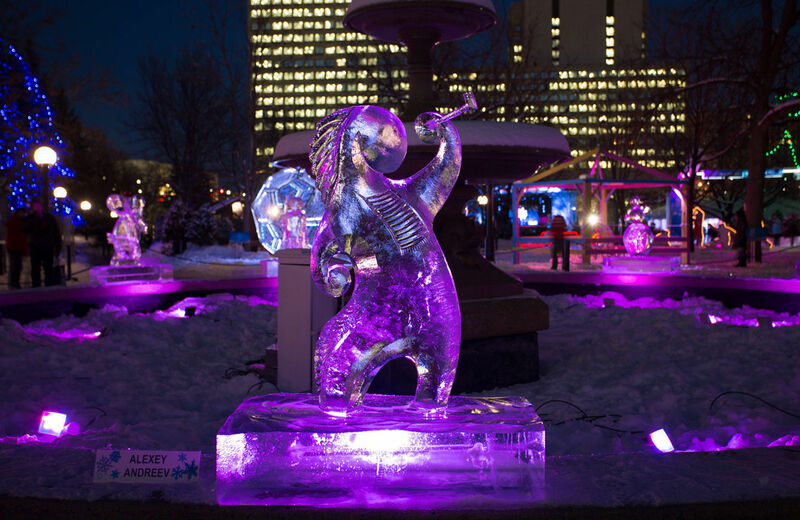 Winterlude – Jan 30-Feb. 15 weekends, Ottawa, Ontario. Canada’s capital puts on a great show each winter during the annual Winterlude, a festival of snow and ice centered around the city’s Rideau Canal, which becomes the longest ice skating rink in the world during this period. There’s sledding, tubing, ice sculptures, ski lessons and much more for all ages. Zehnder’s Snowfest – January 21 to 26; Frankenmuth, Michigan. How could the home of the world’s largest Christmas store not be awesome after the holidays? This Bavarian town 90 miles north of Detroit attracts more than 3 million visitors each year and was voted “best day trip in Michigan” by Detroit News readers. Their chicken dinner restaurant is wildly popular and their new indoor waterpark at Splash Village Hotel has been drawing crowds every weekend. Stop by and look for ice sculptures, snow carving, a petting zoo and more during winter. Skating rinks are another hot ticket activity this winter, and we’re delighted to see this fun sport spread through free or low cost skating rinks in many public venues. In our own New York City, we have the Canadians (and other sponsors) to thank for the free-of-charge skating rink in Bryant Park, behind the Public Library at 42nd Street and 5th Avenue. Skating is free, rentals are cheap, and it’s open before and after the wonderful Christmas Market booths show their wares. At Yosemite National Park, the outdoor public rink is a tradition dating to 1928; it should stay frozen till mid-April. The Curry Village Ice Rink has views of Tenaya Canyon and Half Dome, among other landmarks. If you don’t want to skate, you can hang out at the fire pit and have cocoa. And in more unlikely places, from Dallas’ Galleria Mall to downtown Los Angeles to the oceanfront Del Coronado Hotel in San Diego, new-for-winter skating rinks are sprouting. Let us know your favorite winter festivals in the Comments field below.